While I am perfectly happy with my L'Oreal Infallible eyeshadow collection, there still are a few colors I want from the higher-end-more-squeeshy-soufflé-type eyeshadows. Chanel Illusion D'ombre Mirifique was one of them, so I didn't really have to think twice when I saw it from Liz's blog sale a while ago. 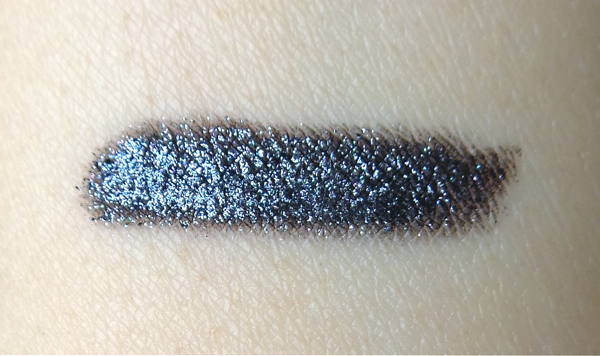 "A shimmery black" sounds awesome and even basic that we should all have one in our eyeshadow wardrobes, but the reality is that it is almost impossible to find one that performs. Black eyeshadow colors often look harsh (well, on most of us) especially in powder form, is one thing. The shimmer that looks so glorious in the pan often disappears once applied not to mention we have to deal with fallouts and possible irritations, is another. Knowing all that from my unsuccessful black-eyeshadow attempts in the past, I kinda had a faith that Mirifique would work somehow "Wonderful"ly. And I can tell you it really does. Mirifique is a shimmery glittery gorgeousness with deep creamy black base. The shimmer is multi-colored but the most prominent one is the silver since it is bigger in size. As you probably can tell, it easily doubles as eyeliner. Illusion D'ombre is not the easiest to evenly apply probably because of its squeeshy texture, but it is that gel-cream texture which makes this color work for what it is. There is still a minimal fallouts and even some flakes while I try to spread it even, but the shimmer shows up clearly and stays on all day once it's done. It is best to use a small brush working on a small section at a time. Also, I find the multi-colored shimmer makes this shade look somewhat more refined and softer despite of its dramatic characteristics. 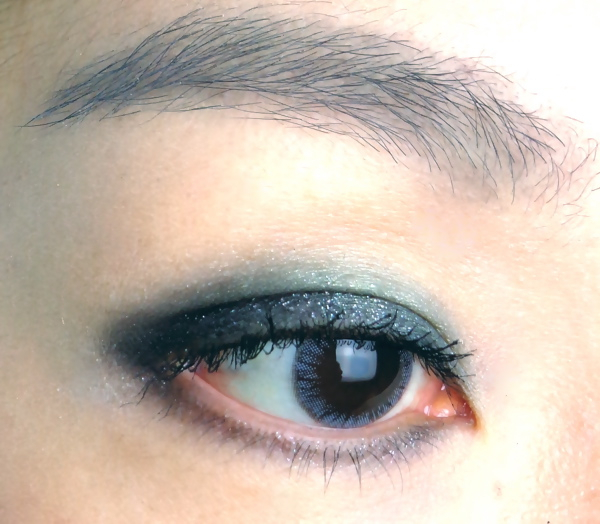 Simply put, it does not look gaudy or too cold, which differs from most black shimmery eyeshadow colors. I suppose I can intensify the look by layering with black powder shadow, but I prefer to wear it with softer colors creating subtle nuance. In this look, I packed Mirifique on my folds making sure it stays close to my lash lines and blended with stila Mystic (a medium sea foam green). I also lined my lower lash lines lightly with Mirifique. My good God, I don't have plastic skin like this. Still, you can see the pretty shimmer of Mirifique quite clearly. In a nutshell, I love it! 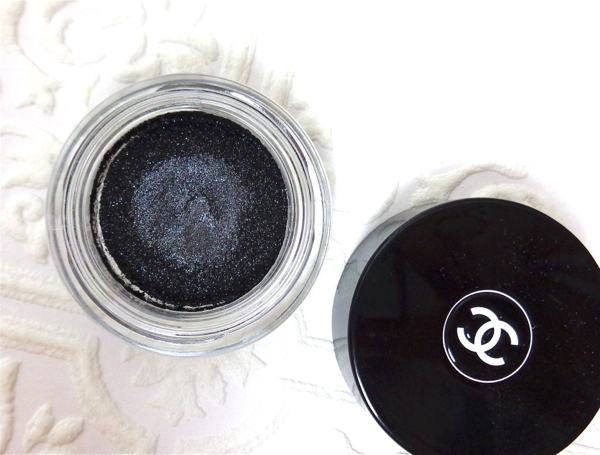 I am planning to create another holiday look using Chanel Illusion D'ombre Mirifique, which would be more dramatic by far.